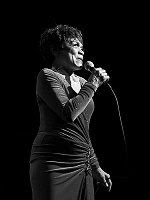 The lately departed Eartha Kitt had to go to college to learn when she was born. Well, I thought I was born in North, South Carolina, because that is what I was told. I didn’t have a birth certificate, no proof of where or how old I was until a few years ago. I was living under the understanding that I was born January 26, 1926.